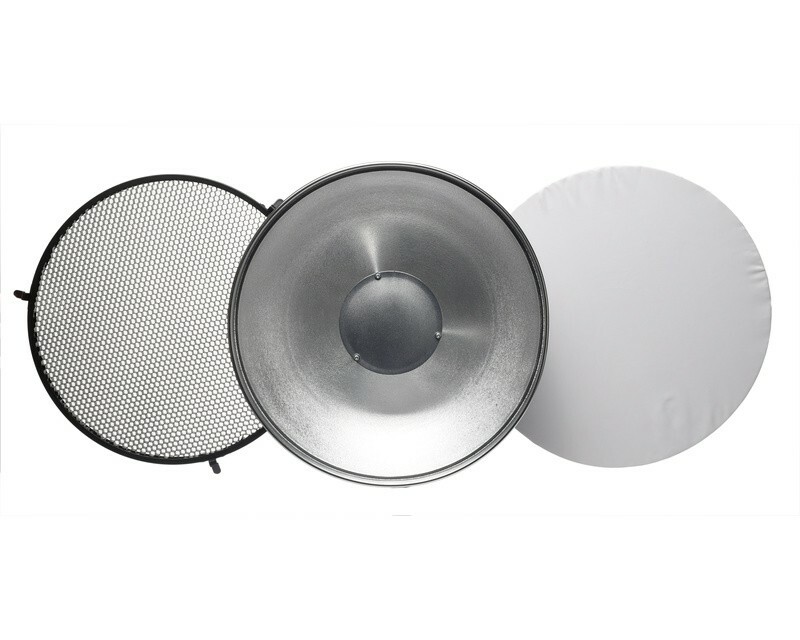 The Beauty Dish with Grid and Diffuser from Quantum adds a signature soft-but-crisp light quality to your work. Compatible with all models of the Q Flash, the 12" dish has an internal deflector that bounces the light backwards and disperses it evenly to fill the dish without hot spots. The included grid tunnels the light forward, eliminating spill light on backgrounds while exclusively illuminating your subject. Included is a 1-stop diffusion sock that can be slipped over the beauty dish to soften shadows.